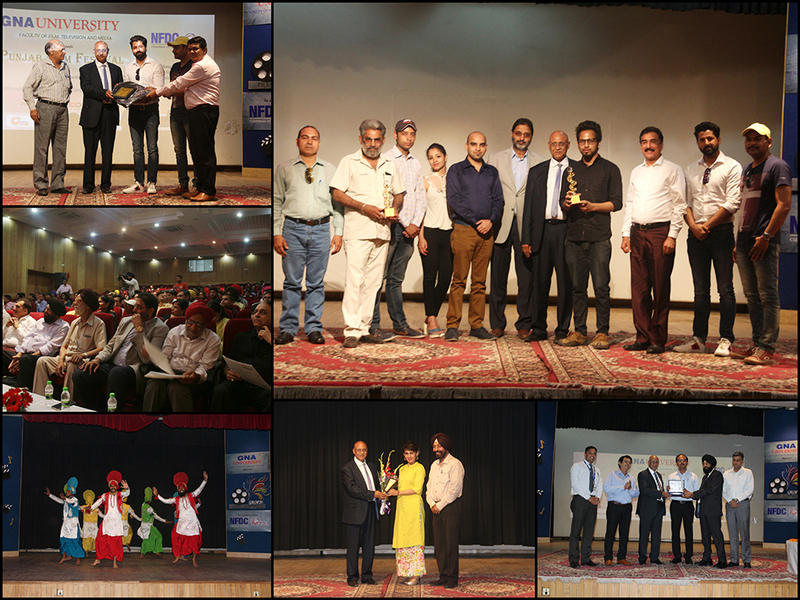 A four day Punjab film festival in Jalandhar, organized by the Faculty of Film, Television and Media department of GNA University in association with Mumbai based National Film Development Corporation (NFDC) - Cinemas of India, brought film makers and film lovers under one platform. Called the first edition of 'Punjab Film Festival 2017' which was designed to be one of the biggest and prominent Cultural and Entertainment events of Punjab, aimed at promoting upcoming filmmakers and culture. Around 1000 people came together from different parts of the country to witness the event. Deputy Commissioner, Jalandhar Shri Varinder Kumar Sharma (IAS) who was the chief guest emphasized the value of good cinema in promoting social causes and uprooting evils in society. Other present dignitaries of the event were S. Gursaran Singh Sihra, Chancellor GNA University, S Gurdeep Singh Sihra, Pro Chancellor-GNA University, Dr. Prem Kumar, Vice Chancellor-GNA University, Mr. Sohi, Mr. Sunil Sarad, Registrar, GNA and Mr. Gurdip Singh Sandhu (Editor of Punjab Mail, London) who traveled all the way from U.K. to attend the festival. The closing ceremony of the festival was a mix of entertainment & some heart breaks as some were unexpected winners.